The most recent example of this kind of corruption comes from a study that was published last week in the British Medical Journal by researchers at the Nordic Cochrane Center in Copenhagen. The study showed that pharmaceutical companies were not disclosing all information regarding the results of their drug trials. Researchers looked at documents from 70 different double-blind, placebo-controlled trials of selective serotonin reuptake inhibitors (SSRI) and serotonin and norepinephrine reuptake inhibitors (SNRI) and found that the full extent of serious harm in clinical study reports went unreported. These are the reports sent to major health authorities like the U.S. Food and Drug Administration. We found that a lot of the appendices were often only available upon request to the authorities, and the authorities had never requested them. I'm actually kind of scared about how bad the actual situation would be if we had the complete data. 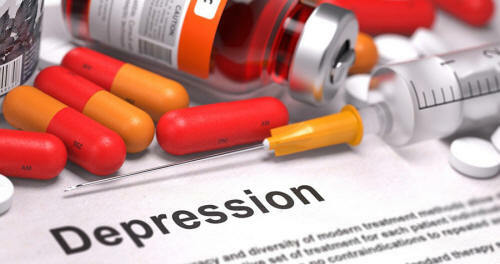 [This study] confirms that the full degree of harm of antidepressants is not reported. They are not reported in the published literature, we know that - and it appears that they are not properly reported in clinical study reports that go to the regulators and from the basis of decisions about licensing. Peter Gotzsche, a clinician researcher at Cochrane and the co-author of the study, actually tried to gain access to clinical trial reports almost a decade ago for anti-obesity pills. They talked about commercial confidentiality although there was absolutely nothing in these reports that was commercially confidential. We explained that all this secrecy actually cost human lives, but they weren't interested in that at all. It took years of requests and complaints for this to happen and, while Gotzsche is pleased they were able to achieve this breakthrough, he reminds us that similar progress has yet to made in the United States. It's deeply unethical when patients volunteer to benefit science and then we let drug companies decide that we cannot get access to the raw data. The testing of drugs should be a public enterprise. We really don't have good enough evidence that antidepressants are effective and we have increasing evidence that they can be harmful. So we need to go into reverse and stop this increasing trend of prescribing [them]. This is not the first time that pharmaceutical companies have been caught manipulating science in order to get antidepressants onto the shelves. It was only a couple of months ago that an independent review found that the commonly prescribed antidepressant drug Paxil (paroxetine) is not safe for teenagers, even though a large amount of literature had already suggested this previously. The 2001 drug trial that took place, funded by GlaxoSmithKline, found that these drugs were completely safe, and used that ‘science' to market Paxil as safe for teenagers. John Ioannidis, an epidemiologist at Stanford University School of Medicine and co-author of the study, is also the author of the most widely accessed article in the history of the Public Library of Science (PLoS), titled Why Most Published Research Findings Are False. In the report, he states that "most current published research findings are false." And this was more than 10 years ago — the situation has undeniably worsened in the interim. A couple of years ago, Lucia Tomljenovic, a PhD in biochemistry and a senior postdoctoral fellow in UBC's Faculty of Medicine, uncovered documents that reveal vaccine manufacturers, pharmaceutical companies, and health authorities have known about multiple dangers associated with vaccines but chose to withhold them from the public. The documents were obtained from the UK Department of Health (DH) and the Joint Committee on Vaccination and Immunization (JCVI), who advise the Secretaries of State for Health in the UK about diseases preventable through immunizations. "continuous efforts to withhold critical data on severe adverse reactions and contraindications to vaccinations to both parents and health practitioners in order to reach overall vaccination rates." The transcripts of the JCBI meetings also show that some of the Committee members had extensive ties to pharmaceutical companies and that the JCVI frequently co-operated with vaccine manufactures on the strategies aimed at boosting vaccine uptake. Some of the meetings at which such controversial items were discussed were not intended to be publicly available, as the transcripts were only released later, through the Freedom of Information Act (FOI). These particular meetings are denoted in the transcripts as 'commercial in confidence,' and reveal a clear and disturbing lack of transparency, as some of the information was removed from the text (i.e., the names of the participants) prior to transcript release under the FOI section at the JCVI website. Below is a clip taken from the One More Girl documentary, a film which looks at the Gardasil vaccine, a medicine designed to prevent Human Papillomavirus. In it, Dr. Peter Rost, MD, a former vice president of one of the largest pharmaceutical companies in the world (Pfizer), shares the truth about the ties between the medical and pharmaceutical industry. Rost is a former vice president of Pfizer, and a whistleblower of the entire pharmaceutical industry in general. Considering his work experience, it would be an understatement to say that he is an insider expert on Big Pharma marketing. It's time to re-think current medical research and look at the bigger picture.